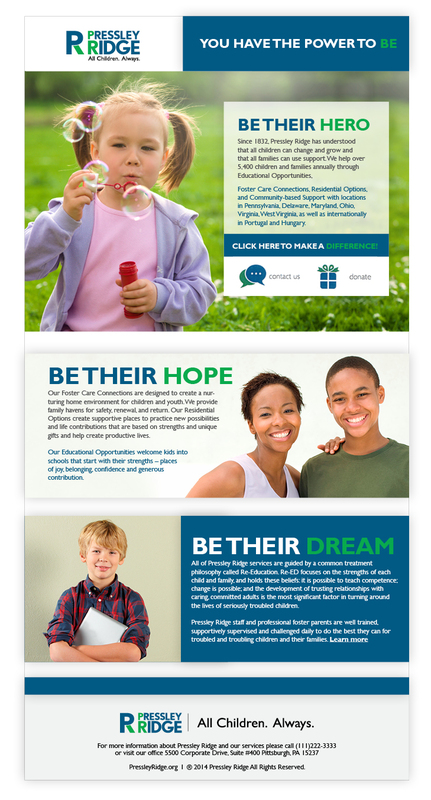 Pressley Ridge is an organization that helps children and families around the world. They offer many different services to children of all ages including mentoring, tutoring, and adoption assistance. They are a growing leader in helping todays youth achieve their goals. 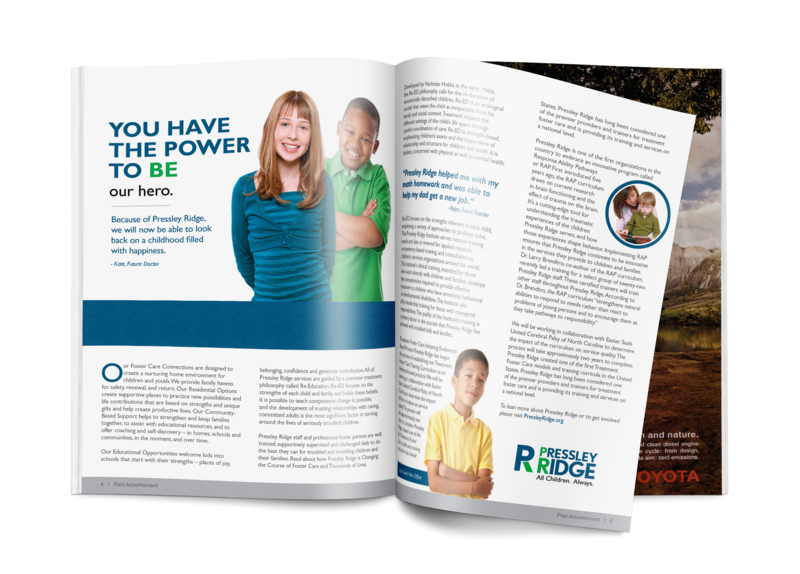 The task at hand was to create a universal, diverse ad campaign, featuring children and their success stories, to create brand awareness and recognition.